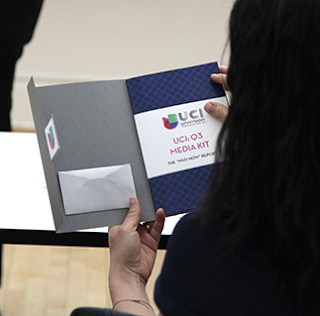 On May 21st in Shepard Hall, BIC Class of 2015 pitched their 360-degree integrated marketing communications campaigns to its for-profit capstone client, Univision Communication Inc. (UCI), the largest Spanish speaking network in the world. 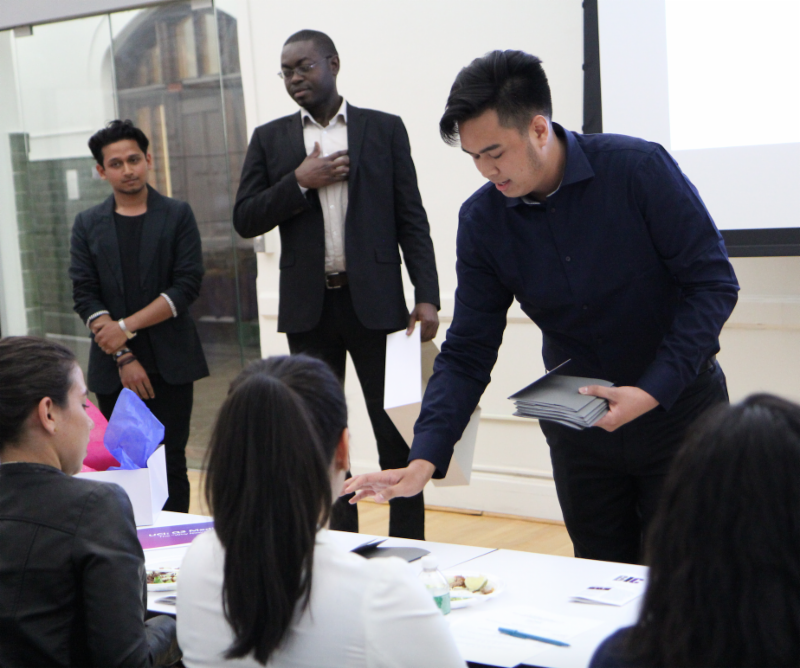 Students were divided into three competing teams to build on existing brand equity and develop compelling communications materials to attract first time advertisers to UCI. After months of intense research, strategic mapping, and campaign development, representatives fromUCI were invited to hear each pitch and judge campaign presentations. Among those in attendance were Diana Terry Rojas, VP, Brand Development and Corporate Marketing, and five UCI colleagues across marketing, brand development, and communications. The UCI representatives were invited to evaluate all three campaigns and after a long deliberation declared team Roundtable's "Imagine a World" campaign the winner. View more photos from the 2015 Capstone Presentations in our Gallery.